The Steepd Vape Co S1 Quit Kit is perfectly designed anyone new vaping, thanks to it’s simple operation. 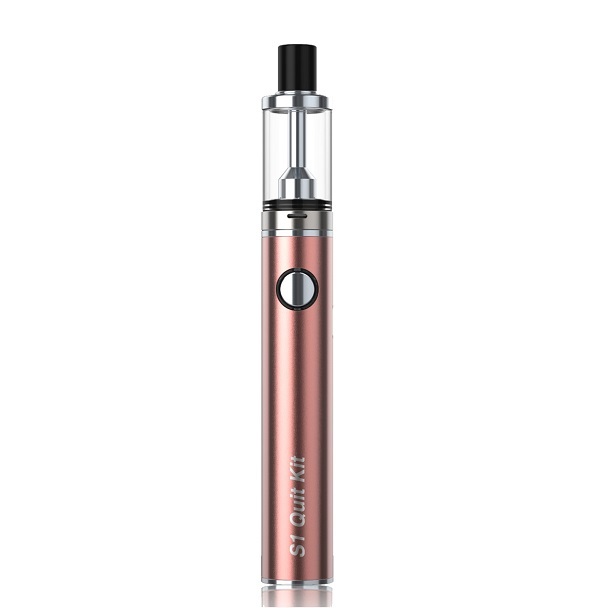 This classic pen style e cigarette features a built-in 800 mAh battery that is charged via the micro USB port - The S1 kit comes complete with 1.5Ohm Nichrome wire (Ni80) replacement coil. The S1 Quit Kit is a portable pen style design that is compact in size and easy to use. One button operation allows the device to be turned on and fired simply and effectively. A fixed wattage output means that there is no fiddly setup, simply fill with eliquid and you’re ready to go. S1 Quit Kit is a TPD compliant vape device, with a 2ml eliquid capacity, BUILT IN AIRFLOW and top fill mechanism. A tight airflow meaning it can be used for mouth to lung vaping, it can be used with either salt nicotine eliquids or standard eliquids.